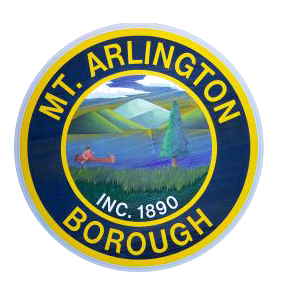 The Mount Arlington Borough Recycling Center is under the auspices of the Mount Arlington Department of Public Works. The recycling center is apart of Mount Arlington’s commitment to environmental sustainability and “green” initiatives. The Recycling Center is only open on Saturdays from 8:00 a.m. to 1:00 p.m. and more information can be obtained by contacting the Department of Public Works. The Department of Public Works may reached by calling 973-398-4200. The Recycling Center is located at 1 Altenbrand Avenue Mount Arlington, NJ 07856. For more information, download the MUA Recycling Flyer. Saturdays only: 8:00 A.M. to 1:00 P.M. The Mt Arlington Recycling Center is now accepting electronics for recycling. If it can be plugged in, it can be recycled. No appliances with freon will be accepted. The Recycling Center is located at the DPW Office, 1 Altenbrand Ave., Mount Arlington, NJ 07856.